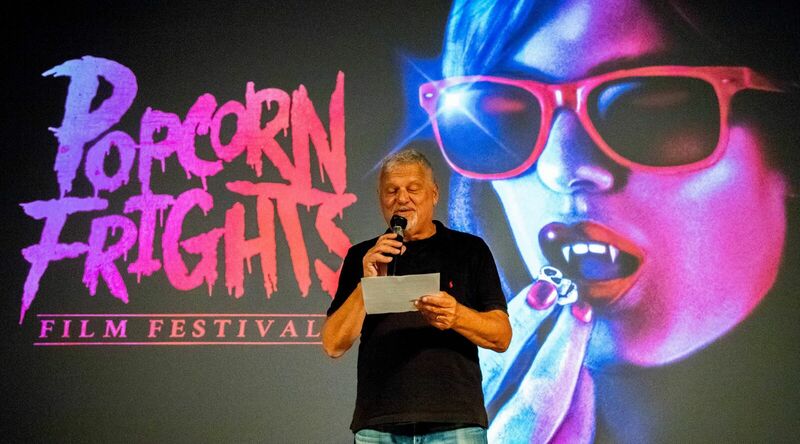 After a week of bloodcurdling terror and dangerous amounts of fun, Popcorn Frights celebrates the end of its 4th annual film festival, but not without creating unforgettable moments for guests from all around the world. The festival broke its audience attendance record, with almost every spot of its 240-seat venue occupied each night through the week-long event. From screenings hosted by some of my favorite filmmakers to immersive musical performances between movies, the highlights of this year’s Popcorn Frights are bound to stay with me for a very long time. Or, at the very least, until the festival arrives again next year. 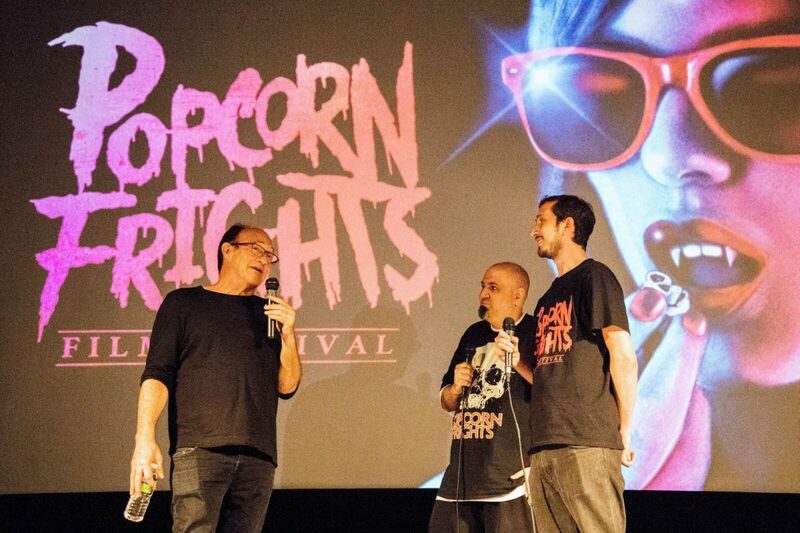 The festival’s very first screening, a short film by the name of Riley Was Here, provided Popcorn Frights with an…unforgettable start to this year’s event. I had always heard about people being so scared during movies that they faint, and it’s no secret that horror films wear such episodes as badges of honor, but I never thought any of it was true until Riley Was Here. In the middle of the short, commotion ensued as one of the festival’s patrons passed out in her seat, seemingly from sheer terror. An ambulance was called, and the patron was helped back into stability quickly enough for the festival to continue. While I wouldn’t call this a “highlight” because of how scary an experience like that could be, it definitely was a memorable way to kick off the festival that would only provide more and more sheer terror in the nights to come. Besides being voted as audience favorite this year, Anna and the Apocalypse also provided for many of my favorite Popcorn Frights 2018 moments. Not only was the film’s director John McPhail in attendance during the screening (and throughout the entire week, for that matter), but the audience was treated to an absolutely incredible immersive performance by Infinite Abyss Productions (with special guest Santa Clause) before the movie was screened. The stage was soaked and sticky with fake blood for days since the performance took place on the opening night and used so much of it! It was great to see the audience have a great time hanging out with Mr.Claus in preparation for one of the genre’s most fun and delightful movies of recent years. This one is a very personal highlight but one I know others in attendance will remember for a long time – composer Fabio Frizzi was in attendance supporting Puppet Master: The Littlest Reich (the score for which he composed). Being in the same audience as the legend who has also composed the score to personal favorites such as The City of The Living Dead is a bucket list item that Popcorn Frights guests can now cross off their list. One of Popcorn Frights’ most endearing qualities is the very venue in which the festival is held— a re-purposed Methodist church from the 1940s. Though Savor Cinema is used as a theater, the building remains an active chapel complete with its stained glass windows, high ceilings decorated with hanging lanterns, and tall wooden doors. There is something seriously sinister and enthralling about watching horror movies about ghosts and demons inside of a once holy site. This was only made better for me when festival director Igor Shteyrenberg told me that there would be a church service held in the morning of the day we would be watching movies like Boogeyman Pop. I loved the idea of holding horror in the same sacred regard as some of the religious events happening in the same venue, and celebrating them under the same roof was absolutely a highlight for me. Having saved the best for last, my number one moment of Popcorn Frights happened on a night that seemed to be dedicated to celebrating 80s horror. I hardly know where to start with this night, because I don’t think there was anything about it that wasn’t a highlight. The movies were Wolfman’s Got Nards, The Blob, and Nightmare on Elm Street 3: Dream Warriors, all of which I can say I love deeply and was excited to experience on the big screen. 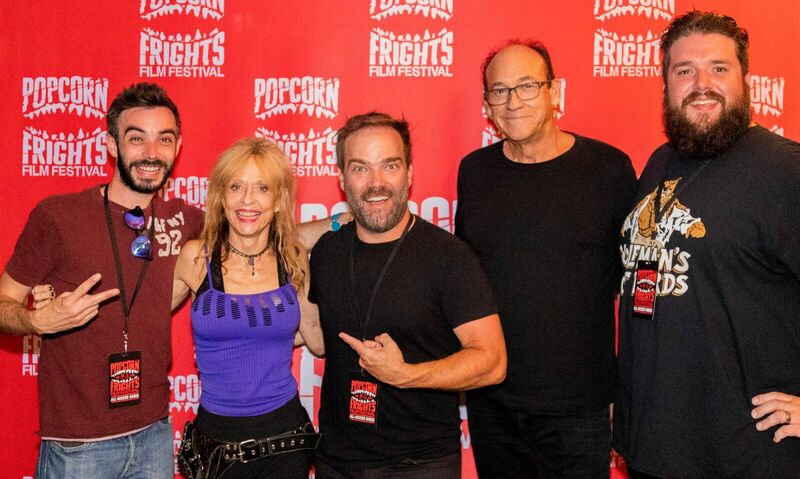 As if that line up wasn’t ideal enough, guests got to share the night with director Chuck Russell, actor/director Andre Gower (of The Monster Squad), and producer Henry Darrow McComas. They each introduced their films and had very interactive and fun Q&A’s with the audience after each screening, and even joined Popcorn Frights in an after party where guests got to mingle with them. Still, my most favorite moment of the night was getting to share The Blob with Chuck Russell’s son, also in attendance, who had never seen the movie before! Getting to experience his reaction watching his father’s movie for the first time was unbelievable and served as a good reminder for the kind of enthusiastic reactions movies like The Blob can elicit.